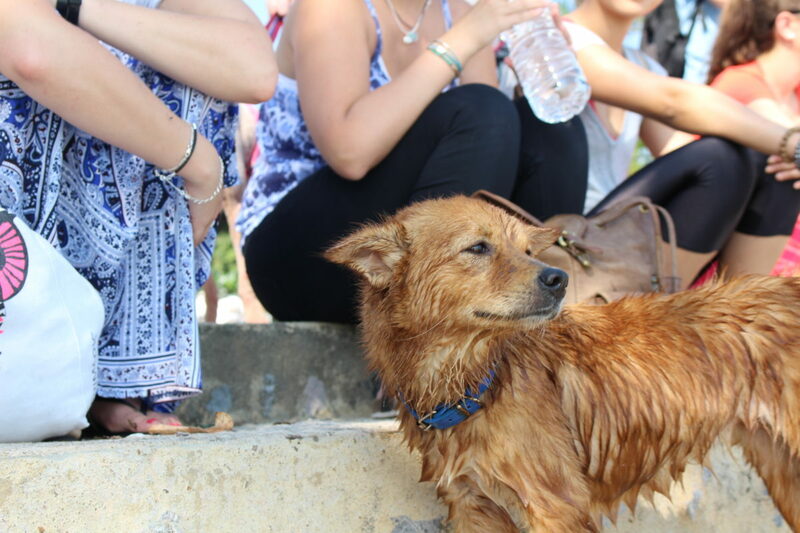 Improving the lives of stray animals in Thailand – what does this mean to us exactly? Here at XploreAsia, we not only provide participants with efficient TESOL training and placement, but also strive to make a positive impact in the local community at large. 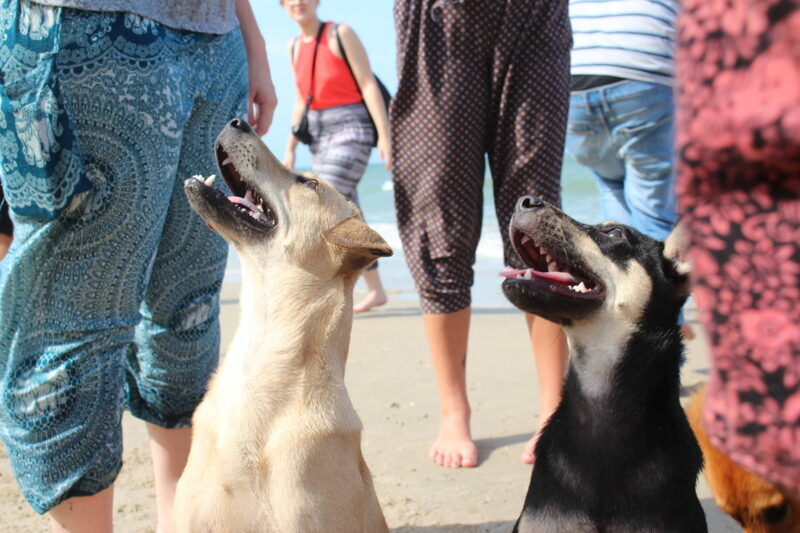 As any foreigner enters Thailand, a problem is immediately evident – a surplus of stray dogs. 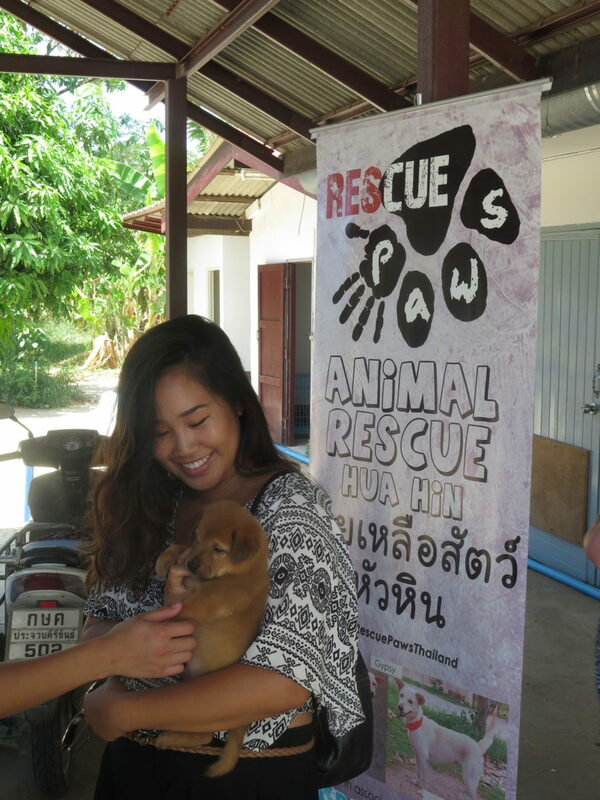 To assist with the dilemma, XploreAsia co-founded Rescue Paws in 2013, an animal relief organization based in Hua Hin. The stray problem remains despite many Thais owning pets themselves. The late King of Thailand, King Bhumibol, had a fondness of animals himself and often emphasized the importance of adoption. His most notable pet was his sidekick dog, Tongdaeng. Even after passing away in 2015, Tongdaeng today remains a well-known icon in Thai culture (there was even a book published about her). However, due to an overall feeble focus on sterilization, stray dogs (otherwise known as “soi dogs”) run rife throughout Thailand. The issue has even found its way into Thai films such as Ma-Mha (2007), where stray dogs take the lead character roles themselves. Many stray dogs live in packs while claiming a street or stretch of land as their own. As packs of dogs have a hierarchy similar to that of wolves, Rescue Paws does not aim to interrupt this system by accumulating and housing thousands of dogs. Rather, we attempt to reduce stray animal populations through sterilizations, vaccinations, adoptions and educating those who might be unaware of the ever-expanding problem. We also set-up and facilitate adoption services whether in Thailand or overseas (certain countries). If you happen to be passing through Hua Hin and would like to make a positive impact, be sure to visit Wagging Tales Cafe, our non-profitable coffee shop where all proceeds go towards Rescue Paws itself (https://www.facebook.com/waggingtalescafe/). Rescue Paws is made up of full-time staff and a group of volunteers who carry out the daily tasks of the on-site kennels, clinic, and play area. The team is a tight-knit unit who live and breathe passion towards animal care, often going above and beyond what is needed by the innocent canines. Although the rehabilitation processes can occasionally be demanding and tear-inducing, nothing compares to the gratitude and affection shown from man’s best friend. While some of our local staff are animal care specialists, the majority of our volunteers are foreign and non-specialized. Because the stray situation in Thailand is extensive and often overwhelming for first time visitors, the only requirement to be a volunteer is to have an immense love for animals; a willingness to go the extra mile for those who cannot help themselves. Thousands of animals have already been helped but there are thousands of malnourished and abandoned animals still in need of our help. Do you love animals? Want to give back to the community? Come join us in beautiful Thailand and get involved with Rescue Paws. Our four-legged friends will be happy to meet you! Daily feeding runs around Hua Hin. Feeding runs are a great opportunity to monitor the health and growth of different animal packs under our care. Cleaning of clinic and general maintenance. This means, sweeping, mopping, and sanitizing of clinic, fixing anything from plumbing to fences, and more. Administration of medical care in the clinic and in the field. Office administration. Paper work, yes this is important and requires constant attention. Making sure the books are kept up-to-date, and our databases are accurate is an important part of keeping Rescue Paws running smoothly. The upkeep of our social media sites and developing projects to spread the reach of Rescue Paws on a global basis. Loving and caring for street animals.